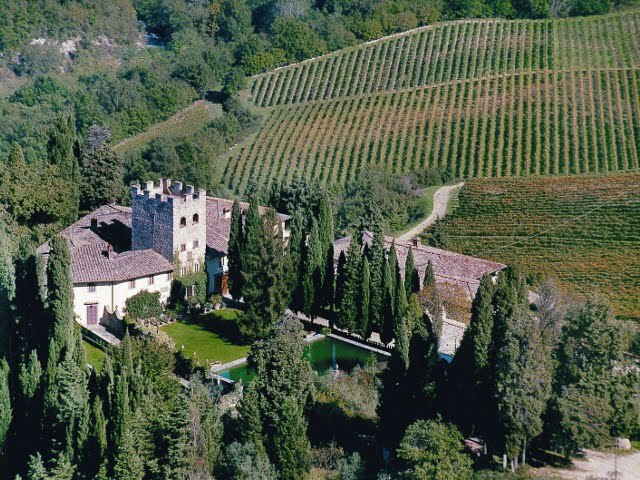 Castello di Vicchiomaggio, lessons on how to plant grape vines in the ground, visit of the cellars and tasting, visit of the Ancient Falorni Butcher's shop. 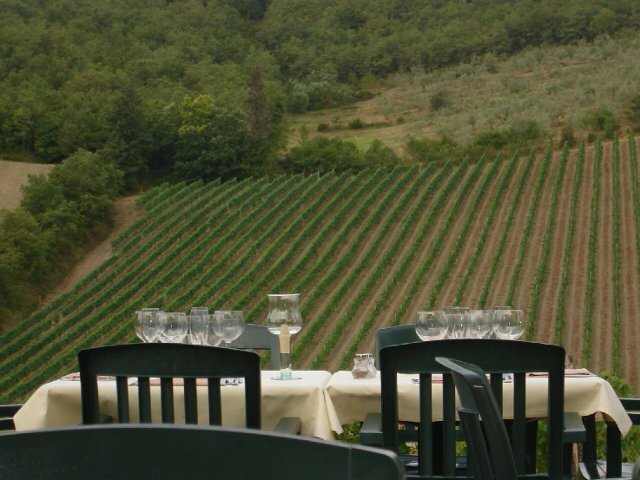 Tour presentation: Living in Chianti for one day and enjoying a panorama of hand-made, well-disposed rows of vineyards, along the cypress and olive trees, the stone houses and ancient rural tradition. The feeling of peace can be enjoyed through this tour with a private driver and private guide, who will lead us to discover the wonderful Castle Vicchiomaggio to plant our personal vines, vines that will produce the wine now controlled and protected by the authoritative Chianti Classico Consortium. We will visit the aging cellars of Chianti, we will taste with pleasure the excellent wine and excellent food in the majestic castle ballroom. Later we will enter into a small village where life stopped many years ago and visit a ramparted village where we will listen to the silence of a country church. Chianti also means salami, ham, finocchiona and cheese. Of course you can do a tasting of Tuscan cold cuts and a wine tasting of Chianti Classico before leaving the Chianti region! Arrival at Castello Di Vicchiomaggio, visit of the gardens of the castle, the aging cellars and wine tasting. Lesson on how to plant the vine in the ground personal and practical experience in the vineyard. 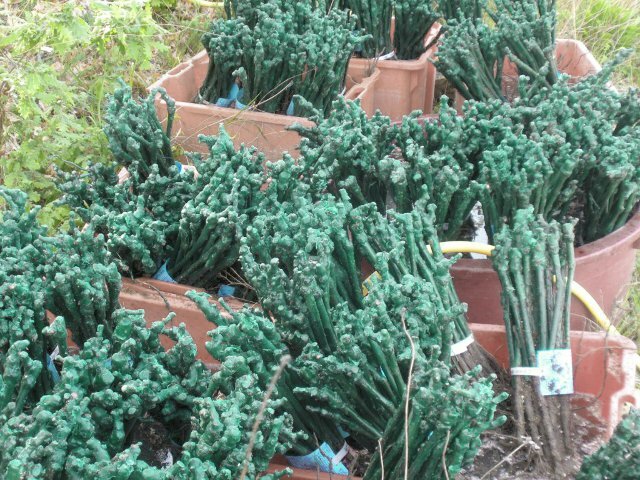 Each guest will plant his vine. Visit of the aging cellars and wine tasting of Chianti. The menu for the meal: Tagliatelle with wildboar, or tomato and basil, beef stew, cantuccini and Vinsanto (or a Tuscan pie), water and one bottle of Tuscan IGP wine and coffee. You can request a vegetarian menu.